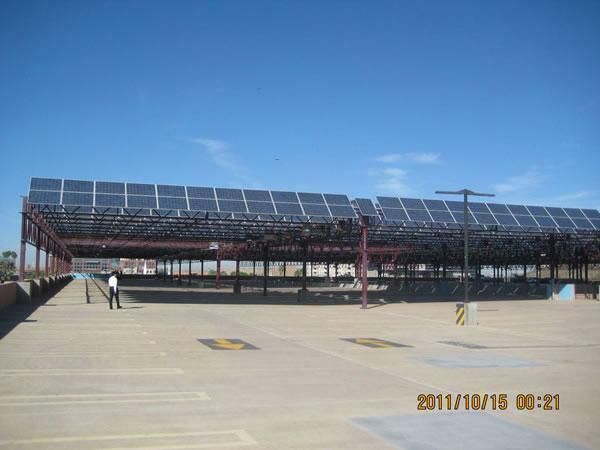 Solar car parking canopy is an efficiency way to use solar energy. Placing the solar panels on the rooftop of the carport can not only decorate the carport but also block sunlight for the vehicles. The electricity produced by solar panels can be supplied to homes or other buildings. The excess electric power can be sold to the state grid to gain economic benefits.